Groz-Beckert will display felting and carding product areas at IDEA Miami, a trade fair for nonwovens and technical textiles, which will be held from March 26-28, 2019, in US. 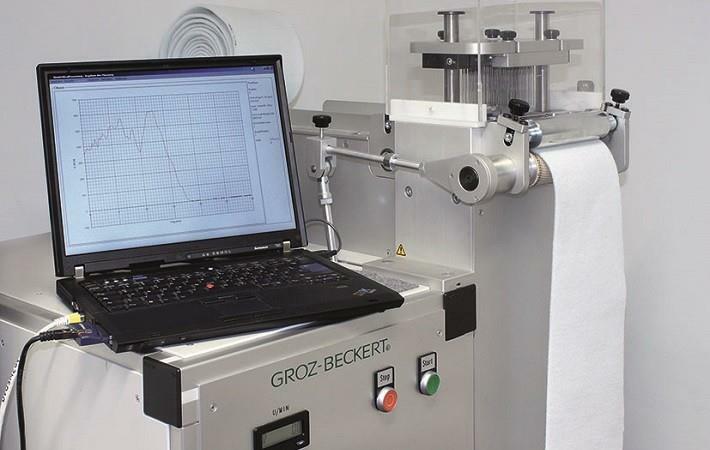 Groz-Beckert, a provider of industrial machine needles, fine tools, as well as systems and services for the production and joining of textile fabrics, will be seen in booth 1224. The felting product division will present the innovative HyTec P jet strip for the spunlace industry. With it, all mechanical properties improve such as scratch resistance, bending stiffness and service life thanks to its significantly higher hardness. The acrylic exhibit will show three different versions of the new HyTec P jet strip, according to Groz-Beckert. Groz-Beckert will also focus on special needle solutions: the EcoStar and Gebecon felting needle. The special working part cross-section of the EcoStar felting needle meets the highest demands for product surface quality in all applications. Compared with a standard felting needle, the EcoStar felting needle achieves an energy saving of up to seven per cent in the needling process. With the Gebecon felting needle, users also benefit from an improved surface quality of the end product. The patented working part design provides optimal bending resistance and results in improved needling parameters. Enlarged scale models represent the special geometries and shapes of the Gebecon and EcoStar felting needles down to the last detail. A special highlight for visitors to the Groz-Beckert booth will be the live demonstration on a lab-scale needling machine. This will highlight the advantages of a Gebecon felting needle compared with a standard conical felting needle via a penetration force measuring device.